The Powder Keg has combined with Chevalier in Sweden to select a clothing range for outdoor pursuits which are ideal for conditions in South Africa. The quality and styling of Chevalier is unmatched! Visit The Powder Keg and try on a pair of Action Pro pants in order to appreciate how these stretch trousers flexibility give optimum freedom of movement. The range of Action Pro jackets and trousers are ideal for stalking and active outdoor pursuits. 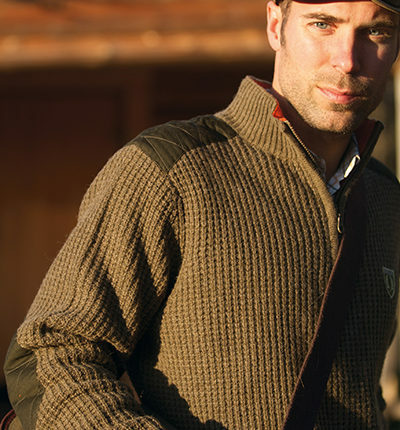 Rosebud pullovers made of 100% wool don’t only look great but will keep you warm. Or try our Bushveld fleece which combines functionality into a fashionable garment. The Powder Keg has a range of ladies clothing and our intention is to build on the selection as ladies get to know and appreciate Chevalier quality and style. Ladies can choose from the stylish Avalon quilted jacket, fleeces or the range of Action Pro jackets and trousers.